Strata properties – commonly known as condos – are best known as residential properties. A growing number of commercial strata developments in British Columbia and Alberta means building corporations must have an eye to property management when it comes to protecting common areas – and the common interests – of owners. Imperial Security, founded in 1993, has the experience needed to ensure safe, secure properties. Having worked with property managers for more than a quarter-century to safeguard portfolios large and small, Imperial Security is able to develop a security plan addressing the various issues that a property complex presents. Property managers typically oversee buildings that have a mix of occupants, each one with specific vulnerabilities. Imperial Security’s foot patrols can provide the coverage required to ensure 24-hour protection. Lock/unlock services streamlines access to common areas at set times, while access control services provide a further layer of control to the premises. A similar approach applies to strata properties, with Imperial Security guards able to control access to the common areas as well as units held by individual owners. Imperial Security works with strata (building) corporations to develop security programs that best suit their needs. This may include services such as bike patrols for a range of buildings within a single development or parkades, or mobile patrols in highly visible, branded vehicles across a range of buildings within a single development. Security Guards can also provide back-up services in the event automated security systems fail, such as security cameras and fire panels. The result is strong coverage that meets the needs of insurers. Security guards receive government-accredited training, and have the latest technology needed to protect properties. This includes prompt incident reporting via a mobile app, which delivers PDF summaries of incident details with time and location information logged by the devices. 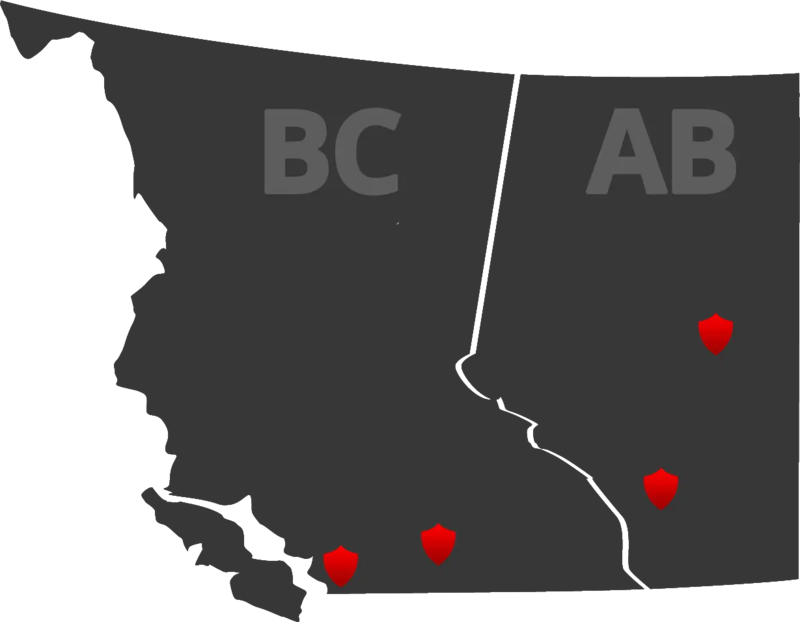 Based in Richmond, British Columbia, Imperial Security operates offices in Vancouver, Langley and Surrey that service properties across the Lower Mainland. It is also active in Alberta, with offices in Calgary and Edmonton, making it one of Western Canada’s best-known security companies.